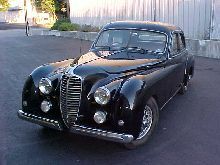 In 1946, Delahaye, in common with others, re-introduced its pre-war models. 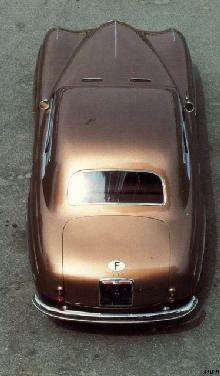 These were the 134 and 135 M which had a four cylinder and six-cylinder engine. These cars still had separate chassis with independent front suspension. The cars were therefore quite-up-to date in technical terms. The cars were sold as rolling chassis just as had been done before the war for specialist coachwork builders to create special bodies. Some superb bodies were created by the likes of Chapron, Letourneur et Marchand, Guillore, Franay, Saoutchik and Figoni. The six-cylinder engine in the 135 M developed 100 bhp at 3,800 rpm. The 135 MS had triple carburetors and could rely on 130 bhp and a top speed of 94 mph (150 kph) which was quite something at that time. 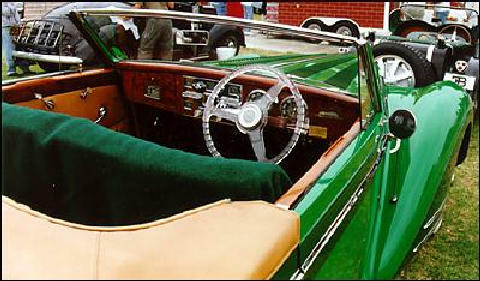 The right-hand drive cars were supplied with a four-speed gearbox or electro-magnetic Cotal gearbox.